“Gears never fail to capture the interest of anyone observing them. The inspiration for this clock was a minimalist approach to a gear clock. 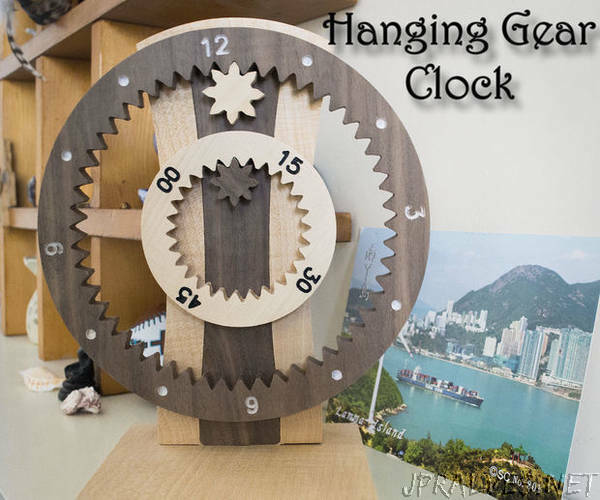 By simply hanging an incremented gear onto a small driven gear and letting gravity and mathematics do their thing, an eye catching clock can be made.